Friday Night, April 27th at Lee County Speedway in Donnellson, IA kicked off the 2018 season for the H7 Racing Team. The car count was very low and it gave the team a chance to get things dialed in. Starting 6th in the Heat, McGee was patient and just made laps for the entire 8 lap heat finishing where he started. For the A-Main, the team made some adjustments to adjust for the slick conditions. With a 6th place starting spot, McGee made a quick move at the beginning to get by a couple cars and quickly positioned himself into the 3rd position. Fighting a loose race car, McGee was able to hold onto 3rd, but couldn’t reel in the top 2 and had to settle for a 3rd place finish to start the year. The next night, the team then traveled to 34 Raceway in Burlington, IA. With a 6th place starting spot in the heat, McGee was able to move into the top 4 with a few laps into the books. With the track burning up and getting slicker, McGee was actually making a move into 2nd at one point. Although, eventually fading towards the end of the heat and finished in 4th. For the A-Main, we redrew a 5 for the 20 lap A-Main. With the track being around the bottom on a smooth and slick track it made for some close racing for the entire distance. The car was still unable to find traction and would battle for that 5-8 spot during the entire race but could never crack the top 5. When the checkered flew, the H7 machine would finish in 7th. The following weekend on Thursday May 3rd, We were supposed to be joining the MLRA Late models at Lee County Speedway in Donnellson, IA but Mother Nature had other plans and they were force to postpone that race for later in August. The team took Friday night off and got back in action on Saturday May 5th in Burlington, IA at 34 Raceway. With one night under our belts, the weekly invert took place with point average. 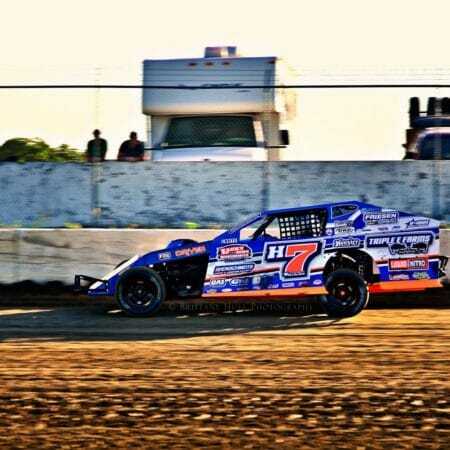 Therefore we started 3rd in the 2nd heat with 24 Modifieds on hand. The track threw us for a loop as we were preparing for a slick track and it ended up being a little rough and greasy. So our inside start didn’t work out very well. Without getting to the top quick enough, we slid back to 5th before we could finally get up a lane on the race track. After that, it was pretty much follow the car in front of you as passing was minimal. Without making the top 4 invert, we were forced to start 14th on the grid for the 20 lap A-Main. At the start, everyone got bunched up and we were forced into the backstretch wall, which probably lead to bending some suspension pieces on the front and rear. Although, we kept fighting on and it was a madhouse most of the race for spots 5-15 and nobody giving an inch. Still fighting an ill handling car, we could never get farther than 9th and after a late race restart we finished in 12th. The car is put back together and ready to go for another weekend of action. This weekend, we will once again be back at Donnellson on Friday and then Burlington on Saturday for IMCA weekly action. Mark your calendars to attend 34 Raceway in Burlington on Saturday July 14th, as we will have our car on display and be signing autographs and selling merchandise that night. We are excited to have our car on display and show off all of our supporters that help make this happen. To keep up to date with the H7 Racing Team, You can also view the schedule at https://h7racingteam.com/events/2018-2/. The H7 Racing Team website is updated regularly with team photos, results and any schedule changes that may occur to keep you up to date throughout the year. Race Fans should also check out the photo albums and videos that date back to 1985, which is the birth of the H7 Racing Team. Don’t Forget about Facebook or Twitter (H7 Racing Team) pages as well to get up to the minute updates or schedule changes. Also, be sure to check out our YouTube page at https://www.youtube.com/user/H7RacingTeam. There will be videos from 2018 as well as past years dating back to 1987. 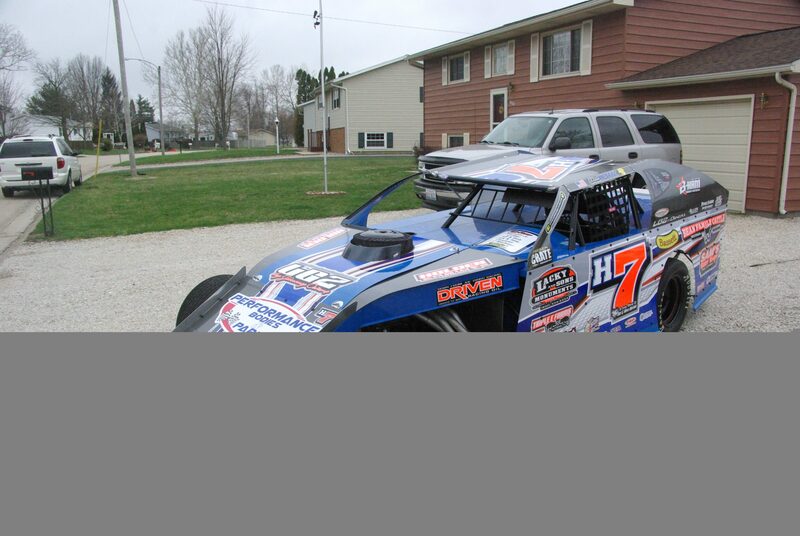 About H7 Racing Team Owned and operated by Mike Horton Sr and family out of Galesburg, IL. Dean McGee, the long-time pilot of the H7 machine has over 40 years of experience as well as many wins and multiple track championships along the way. (April 19, 2018) The 2018 season is upon us and the H7 Racing Team is ready for another year racing under the IMCA banner throughout Illinois and Iowa. 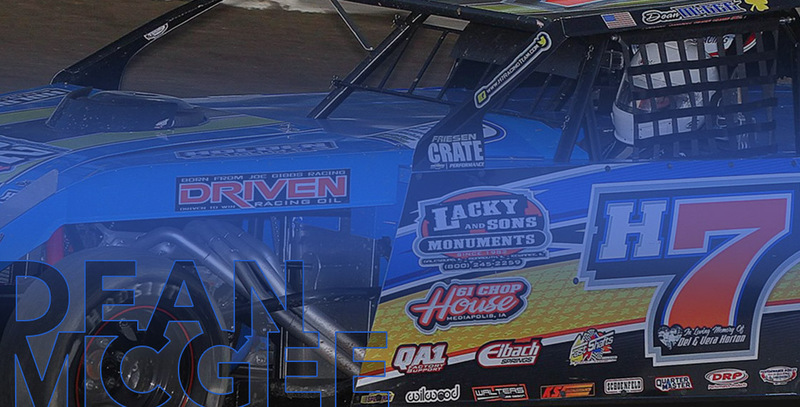 While continuing to utilize an LG2 by Jimmy Owens chassis and powered with a Friesen Performance 604 Crate Engine, the team is looking at racing weekly in Donnellson, Iowa and Burlington, Iowa. After using the 2017 season to fine tune their LG2, the team has made some changes with the new car and are excited to finally get back on track and running up front for 2018. 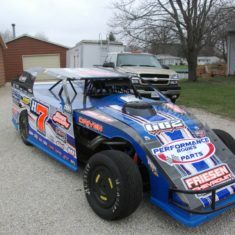 McGee, entering his 46th year of racing and over half of those in the H7, has captured championships at both 34 Raceway and Knox County Speedway along with many other wins over the years. In 2018, The team is excited to welcome back some great sponsors and also adding some new sponsors for this upcoming season. One of the added sponsors for 2018 is Sam’s Body Shop of New London, IA, Specializing in Late Model HD Rebuilding as well as Auto Sales. 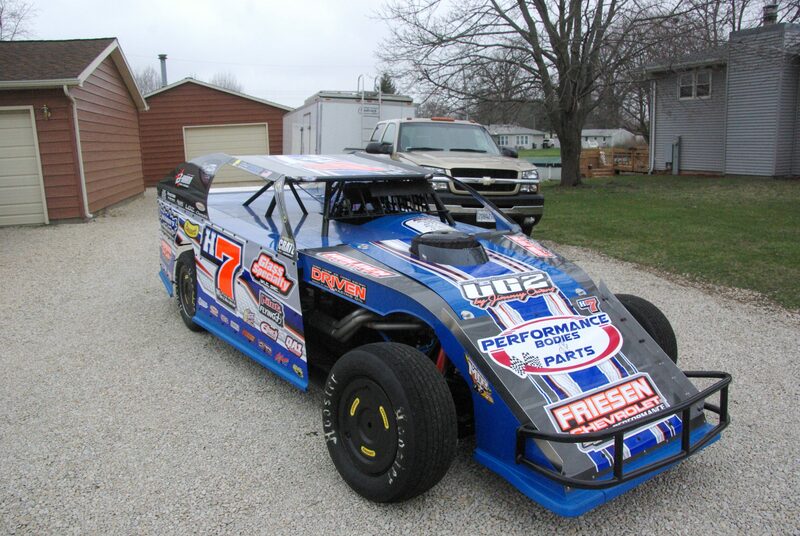 Another Added sponsor for this year is Dirt Stars Racing Products of Taylor Ridge, IL. We would like to Thank the Smiths for helping us out at the end of 2017 and look forward to working with them more in 2018. 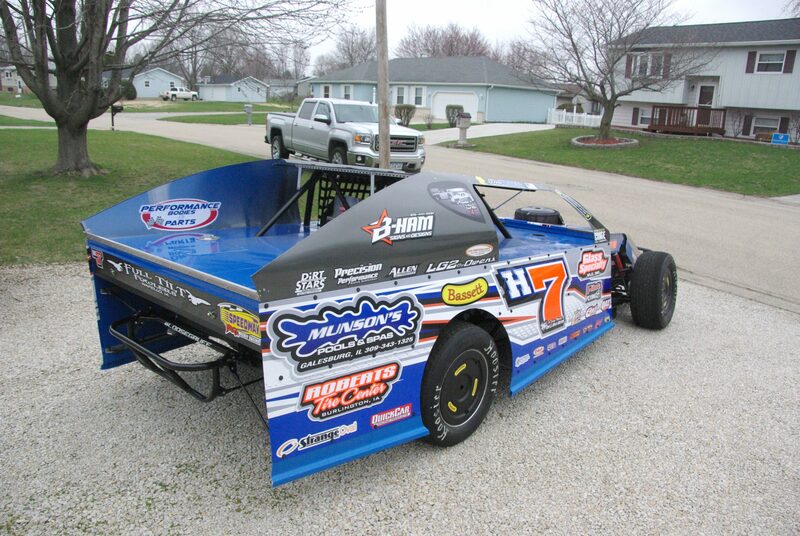 This weekend, The H7 Racing Team is planning on getting the season kicked off at Lee County Speedway in Donnellson, IA; after last weekend was cancelled due to rain and cold weather. Although, with the temperature looking to be in the 40’s on Friday night, we might push our opening night back another week. On Saturday, The Annual Slocum 50 in Burlington is on the schedule, but we will be there spectating. Modifieds are not on the schedule and this is a race we like to attend and give our support. To keep up to date with the H7 Racing Team, You can also view the schedule at https://h7racingteam.com/events/2018-2/ to stay up to date. The H7 Racing Team website is updated regularly with team photos, results and any schedule changes that may occur to keep you up to date throughout the year. Race Fans should also check out the photo albums and videos that date back to 1985, which is the birth of the H7 Racing Team. Don’t Forget about Facebook or Twitter (H7 Racing Team) pages as well to get up to the minute updates or schedule changes. (October 12th, 2017) With the weather looking pretty dismal for the next few weeks, We have decided to end the year with the car still in good shape and begin to prepare for 2018. Next season will be quickly approaching and we have our sights set on a few goals for 2018, hopefully looking to rebound from 2017. We would like to see our winter break get rid of those gremlins before the spring of 2018. There will be some great things happening in the off season and we are looking forward to our continued partnerships as well as new ones for the 2018 season. Thank You to all of our Great Partners for their continued support throughout the year, without you we wouldn’t be able to do it. Also, Thank You to our fans, family, and friends who came out and supported us each and every night throughout the season. During the off season, don’t forget about our YouTube page (H7 Racing Team) and you can enjoy past videos to pass the time. 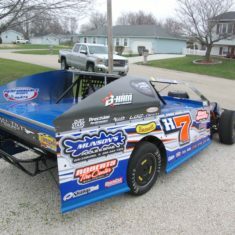 Also make sure you keep up with our website, (www.H7RacingTeam.com) Facebook and Twitter (H7 Racing Team) pages to get updates on what is going on. (September 21st, 2017) Over the last couple weeks, we have enjoyed time with family and friends by attending the Boone Super Nationals and then the Late Model Nationals in Knoxville. So finally after a couple of weeks sitting on jack stands, we will venture over to Davenport Speedway for the $5,000 to win Governor’s Cup. We look forward to getting back over there for the first time this year and look forward to competing with some of the best around as there will be a stout field of cars for the big payday. This is a draw-redraw show and some luck will be needed for a good start in the heat race. After that, we are unsure of our plans and are just taking races one week at a time. If it continues to stay nice, we will look forward to getting to a few more places. Thank you to our great friends and supporters who have stuck behind us all season. If you get a chance, we hope to see you out this weekend. If not, you will be able to see the races from the night on our Youtube Channel. 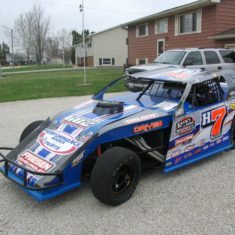 Don’t forget about our website, (www.H7RacingTeam.com) Facebook or Twitter (H7 Racing Team) pages to get up to the minute updates or schedule changes. Also, you can check out action on the team’s YouTube page at https://www.youtube.com/user/H7RacingTeam. There are also videos from this year as well as past years as well.